Does your puppy ever get so excited when you get home or when they meet someone new that they pee their little pants or maybe on your shoes? This is fairly common among puppies and even some adult dogs. If you do not curb excited peeing right away with your puppy, the behavior will only continue and likely worsen! Luckily, this is something that can be managed with training, consistency and a little bit of discipline on our part! Take a second to think about the last time your puppy got overly excited and piddled on the floor. I am almost certain there were a few, key factors playing a role in your puppy crossing over their excitement threshold. Let’s break down a scenario that would likely tip a puppy over the edge. You come home from a long, five or six hour day at work and your dog has been in the crate, anticipating your arrival. When they hear you come through the door they start stretching and maybe even talking to you. “Hi there, I’m so excited to see you! Can I come out now? Oh boy! Oh boy! This is the best time of the day!” You are setting your things down and maybe start talking back to your pup. “Hiiiii babyyy, how was your day?! Are you so excited to see me?! Do you want to go outside?! Let’s go outside!” You begin walking over to the crate, continuing to talk in an excited voice, and your pup is now doing spinouts in anticipation. You open the door and your puppy flies out to greet you like the Tasmanian devil! You open your arms and start loving on your fur baby that you’ve missed all day long. Your puppy is wiggling all over the place, and likely jumping to greet you, all while peeing on the floor or even on you. From the moment you walked in the door and started talking, you were building your puppy up to have an accident. 1) You will want to enter your house calmly and avoid talking to your puppy at all, especially not in a high pitched voice. I highly recommend leaving puppies in a crate when they cannot be supervised. If a puppy is allowed just enough space to stand up, turn around and lie down, she will be less likely to pace and build up anxiety or excess energy. 2) Make sure to only approach the crate if and when your puppy is calm. When your puppy can exit the crate without losing her mind, avoid bending over, touching in any way and even making eye contact with your puppy. 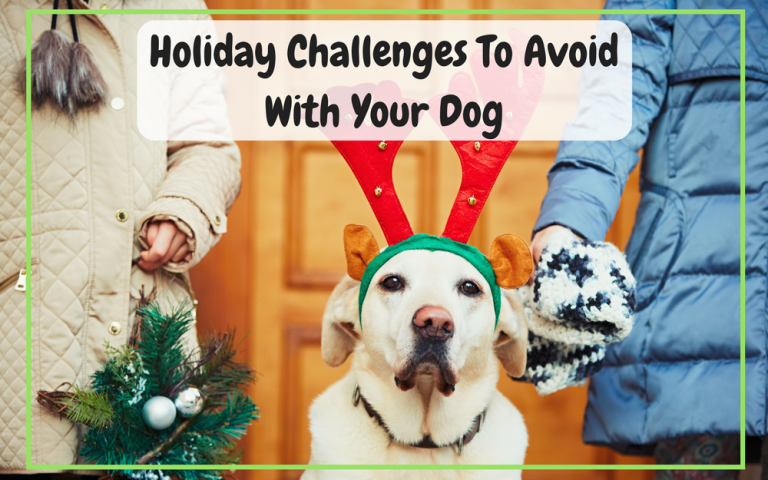 3) You may even want to avoid talking to your puppy. As calmly and efficiently as possible, attach a leash and immediately take your puppy outside. Once she has done her business, you can then greet your dog. Remember to keep it cool, promote a calm hello from your pup! The more both of you practice approaching and greeting calmly, the easier it will be to execute in a real-life scenario. Remember, kickers on a football team do not practice a field goal for the first time on Superbowl Sunday. It is much easier to learn in a calm and controlled environment before taking it to the big leagues. It works the same way for you and your puppy! What are some ways you’ve learned to help your puppy through an exciting situation? Share your helpful advice with our readers in the comments below! 5 Easy Tips To Potty Train Your Puppy Fast! Grab this video training lesson and train your puppy quickly to go potty outside instead of on your floors! Stop Your Dog's Naughty Behaviors Today!